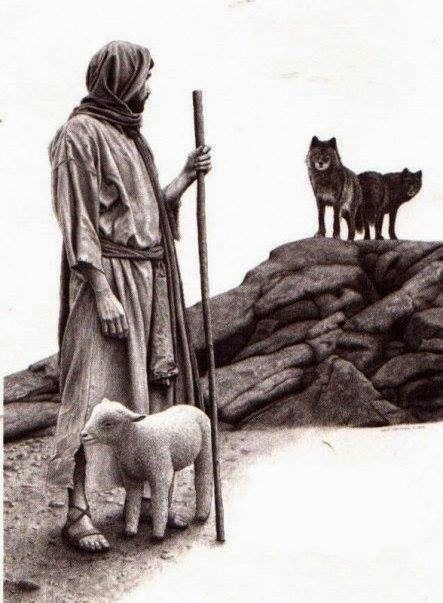 "Beware of false prophets who come disguised as harmless sheep but are really vicious wolves." This is such a timely and important teaching from Pastor Greg Laurie today. There are so many wolves out there who try to make their churches look like they are the real thing, but they are only cheap counterfeits of Jesus Christ. I hope that you have learned as much as I did from this. An inspector who worked for London's Scotland Yard had the job of detecting false currency from the true. Someone commented to him that he must spend a lot of time looking at counterfeit money. "Oh, no," he answered. "I just spend all day working with real money. Then, when I come across a counterfeit bill, I know immediately." The apostle Paul warned the elders of the Ephesian church, "I know that false teachers, like vicious wolves, will come in among you after I leave, not sparing the flock. Even some men from your own group will rise up and distort the truth in order to draw a following. Watch out!" (Acts 20:29–31). That is why it is important to declare the whole counsel of God. There is false teaching, and there are false teachers who lead people astray. The tricky thing about false teaching is that it is not 100 percent false. Maybe it is 20 percent false. Maybe most of it is good and 20 percent is false. Yet that small part that is weird or odd could be spiritually destructive. So if I see a false teaching, I will try to identify it and then teach what the Bible says. I believe that the best thing I can do is to help people become as conversant with the Bible as possible. The more time we spend in the Bible, the more likely we will recognize that something isn't accurate when it comes along. Of course, we could spend the rest of our lives researching every aberrant teaching or cult out there. But I would suggest that we instead spend our time absorbing the Word of God. Then we will be like that inspector in Scotland Yard and recognize when something false surfaces because we know what is true.